Some users refer to Total Image Converter as ‘Kodak Image Converter’, since it supports a variety of uncompressed formats, including DCR. There are many reasons why this converter is a must-have thing for professional and amateur photographers and web-builders. 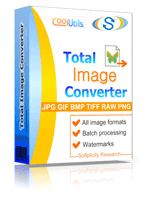 This is the only converter that supports nearly all image formats. It converts raw files to any popular format in less than no time. Besides, it features batch option, which permits you to convert files in folders. All you need to do is check your files and select the target format. This converter features a good deal of options. You can crop, resize and rotate your files and thus shape them as you see fit. Also, you can watermark them and apply frames, logos and comments to your images. 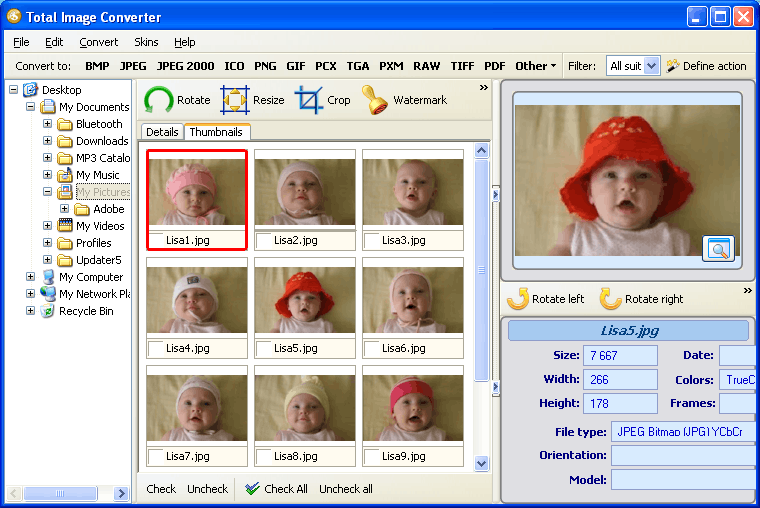 Kodak Image Converter has an easy-to-follow user interface. It takes just a couple of sessions for first time users to figure out how to handle the program. The interface is arranged in such a way that all buttons and options are readily observable. I was so impressed with the ease of using the programme, to convert and recover Raw/Tiff Files, that today I spent part of my lesson singing your praises. Especially as many other programmes will not open my raw files from a Kodak Easyshare Z990 Max. You may already have one new customer. This Tool has inspired me to get out there and shoot more Raw shots as they are so much more crisp. Since JPEG and TIFF are the most common compressed image formats, most users choose them as target formats. In order to convert one or more DCR files to JPEG or TIFF, you should select a folder with DCR files contained in it and check the files, which you are going to convert. Check the files which you are going to convert. You can either check a few files manually or click Check All button to have all the files check-marked automatically. If you would like to leave a few files unconverted, uncheck them manually. If you have decided not to batch-convert, click Uncheck All. Select the target format in the format bar above. Make your settings with the help of the wizard. You can rotate, crop, and resize your DCR images. Use the built-in viewer to estimate output quality. 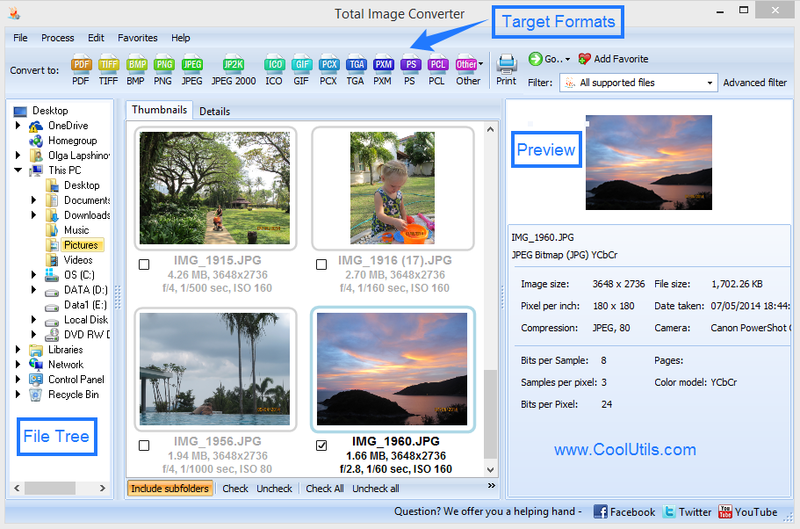 Kodak Image Converter integrates into the right-button menu; therefore, you can convert DCR images right from the desktop. Command line support allows you to manage files from within any other application. 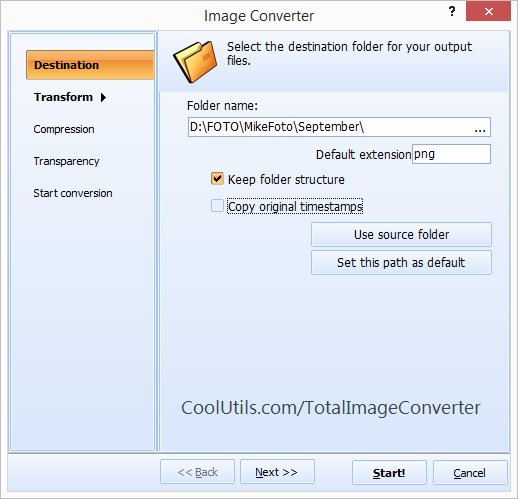 Total Image Converter is shareware. You can download the free trial version, use it for 30 days and make your opinion. Registered users receive free tech support and upgrades.